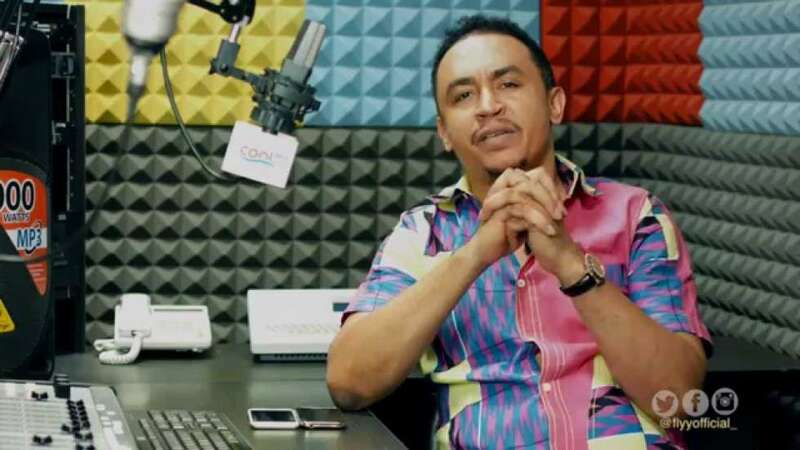 [The Church Blog] You all don’t like Daddy Freeze. But where’s he getting over 6000 YouTube views from? Note: This is going to be a judge-y article but, I don’t really care. For very personal reasons, I chose to steer clear of the whole Daddy Freeze online back and forth, not because I particularly did not have anything to say or just wanted to bash him like most people do, but I just wanted to see where it was all leading. I remember reminding myself over and over again when I got tempted to do so, that this whole hype must be leading towards something that many are quite ignorant about or have plainly chosen not to see. I went out with a senior friend in February. He was one of the chosen panellists for Omotola Jalade’s birthday symposium on The Mental Emancipation of the Black Race and Daddy Freeze was one of the panellists. Since it was somewhat a political event, I expected to see the lords of such conversations; Femi Fani-Kayode, Ben Bruce and co. And yes, I did see them, but there was one man I didn’t expect to see; it was Daddy Freeze. But, hey! I didn’t come all the way from the mainland to Ozumba Mbadiwe to judge. So, I paid rapt attention as soon as it was his panel was called up hoping that somehow, I could get some revelations from his panel. And maybe, I did. Midway through the panel; a panel on mental slavery, Daddy Freeze had to deliver his own little opinion and after about 2 minutes of going round random democratic matters, he swerved and jumped right into what many would have expected from him; Church and pastors. That got me thinking again! Let me divert a bit. For as long as some of us can remember, He has been consistent in this “fight” against Pentecostal pastors on social media as the leader of the #FreeTheSheeple movement. One that continued to gather attention in his direction in trickles until he was able to finally jump on the big one; The Global Hallelujah Challenge Movement in June 2017 and boom, he was all over blogs, at the centre of Christian Twitter banter, the core of op-ed articles and until recently, the sub from pastors’ sermons. And that momentum has continued to increase to date. But, when a senior friend explained the economic returns of gathering online banter around your brand especially as a radio presenter, I had my “Ah-ha” moment. It finally clicked! At least, I could finally see one of the paths where this was leading. And this is not to judge Daddy Freeze or his cause. Questioning popular bible beliefs especially when it is mixed with culturalism, traditionalism and fear as exists in this part of the world is our only freedom into experiencing the true faith that Jesus designed for us. It explains our deep love for men like Leke Alder, Ravi Zacharias and several other Christian apologetics who have dedicated a huge chunk of their life to answering the tough questions of faith whilst being ardent followers of the Christian faith themselves. The explanation from my senior friend was all it took to affirm that all of these was leading somewhere very profitable. So, when I stumbled on information randomly on Twitter that Daddy Freeze had started a Free Nation in Christ Online Church, I had another Ah-ha moment; the type you have when a puzzle finally fits because that was all that happened when I confirmed the information. All the bits and pieces of thoughts, ideas and convictions about this movement finally added up. Let’s divert again. Who remembers how Daddy Freeze slammed Nathaniel Bassey for making The Hallelujah Challenge as a marketing strategy for the Olowogbogboro song? Lips sealed! Let’s continue. Again, randomly, I stumbled on a link to a YouTube channel following the launch of his online church; where most of the “church services” would take place and in seconds, I was on his channel. But, I was shocked with what I met there. You see, Daddy Freeze is a hugely controversial guy like we already know and he is more hated than he is loved. It’s rare to see someone who totally loves Daddy Freeze. It’s either they love his conviction and dislike his approach, they have disgust for his approach and his conviction or they don’t even care at all. But, we still won’t deny that some people love him completely. However, since one cannot argue with data; the numbers on his YouTube channel proves that whether or not we love him, many pay attention to what he is saying. Within the past one week, videos published on Daddy Freeze’s YouTube channel has an average of 3700 views, with some falling below and above that line. That statistics will conveniently beat many the YouTube viewership of many churches; even those who might boast of excellent branding. And it’s just one week. Videos that have been published about a month ago can confidently boast of about 10000 views. Of course, we cannot begin to screen through the phones of every Christian and Church goer but we can safely assume that the bulk of that viewership comes from “church people”. Yet, we would gather en masse to bash him once he attacks one of our favourite Christian leaders or music ministers. This proves that as long as you are dogged about your conviction, Nigerians will pay attention; even if it is secretly. As long we all continue to pretend like we all don’t like Daddy Freeze publicly, his YouTube viewership will continue to benefit from it. Maybe if we were more open about our fears regarding our faith, or studied the bible more or asked questions more or our pastors even preached the word rather than philosophy and motivation, we won’t have to hide behind YouTube screens after laughing at a Daddy Freeze sub on Sunday. If we were more honest about our struggles in faith, about seeming Bible contradictions, about doctrine, about love, faith and grace and not just kept quiet about it, maybe we won’t have to wait till Daddy Freeze started an online church before we sought answers. I just hope he has monetised his account. At least, if members can’t pay tithe, YouTube monetisation policy can continue to sponsor the ministry. LOL. I went through this and what can I say. I always see his bashing of pentecostal pastors as a publicity stunt. And like someone said, there is nothing like bad publicity. Attack Redeem, attack winners and others and suddenly millions of people know you. You can make money easily from that. It’s a pity however that it exposes the insecurity many of us Christians have.